In 2012, Congress passed the Biggert-Waters Flood Insurance Reform Act that is going to start affecting home buyers this October. These changes will mean rate increases for many current flood insurance policyholders and people buying and selling property in flood zones. This could drastically affect the amount of home that some buyers qualify to purchase due to higher flood insurance costs. All flood policies will probably see an average of 10% rate increase. Some may not see large increases unless they sell the property or have a lapse in coverage. Non primary residence, severe and repetitive loss policies will increase 25% per year until it reaches actuarial rate. Homes in flood areas that were built before mapping, have subsidized rates and purchased as a primary residence prior to July 6, 2012 will not see dramatic increases unless the owner sells the property. If they purchased the home as a non-primary residence, they could see an increase of 25% per year until it reaches the new rates. Homes in flood areas that were built before mapping, have subsidized rates and purchased as a primary residence after July 6, 2012 will have to provide an elevation certificate at the time of policy renewal, and the rate will increase to the full risk rate. All new home purchased in a flood area after October 4, 2013 will be a the full-risk rate and an elevation certificate will be required. This could mean substantially higher rates than previous policies. Policies will no longer be able to be transferred to new owners. There may be other instances where home buyers and sellers are affected as well. If you’re purchasing a property in a flood zone, talk to your lender right away to see how these changes effect you. 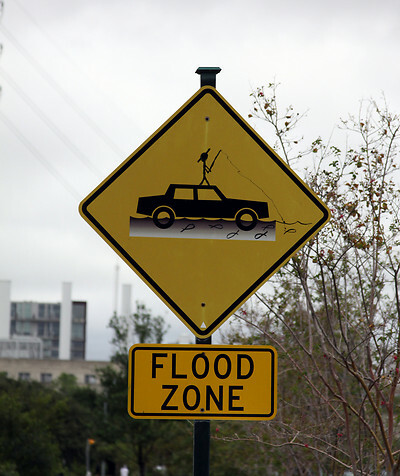 If you are not sure if a property is in a flood zone, you can check by going to www.floodsmart.gov. Just fill in the red box on the right side. If it comes back saying “high risk”, then the home will probably need a flood policy. Information provided by Ginny Phillips, Senior Mortgage Banker with Atlantic Bay Mortgage.